Tom Harvey’s sculpture celebrating Heath Robinson. On the morning of 29th September the Mayor of Harrow, Councillor Rekha Shah, accompanied by Cllr Keith Ferry, Vice-Chairman of Harrow Heritage Trust, unveiled a new carved wooden sculpture at the Chapel Lane entrance to Pinner Memorial Park. 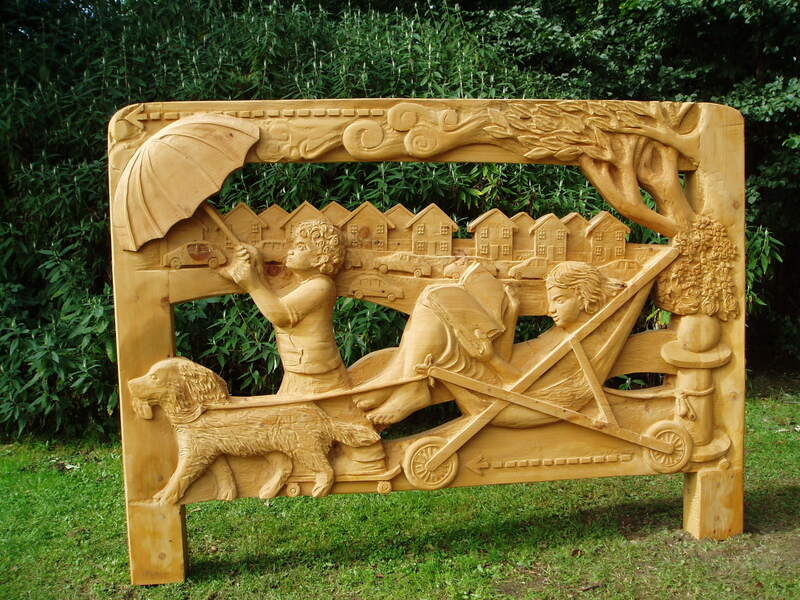 The sculpture, donated to the park by Harrow Heritage Trust, is an original work by Tom Harvey, who previously carved the two chain saw tree sculptures in the park. 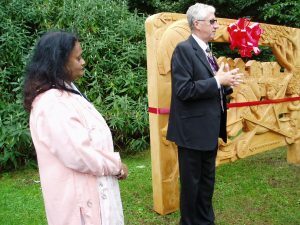 The sculpture was inspired by the work of William Heath Robinson and is intended to guide visitors through the park to the new Heath Robinson Museum. Mayor of Harrow, Councillor Rekha Shah with Cllr Keith Ferry. Previous Previous post: Waxwell Lane Car Park Consultation 29 September – update! Next Next post: Waxwell Lane Car Park – loss of another revenue stream for Harrow Council.